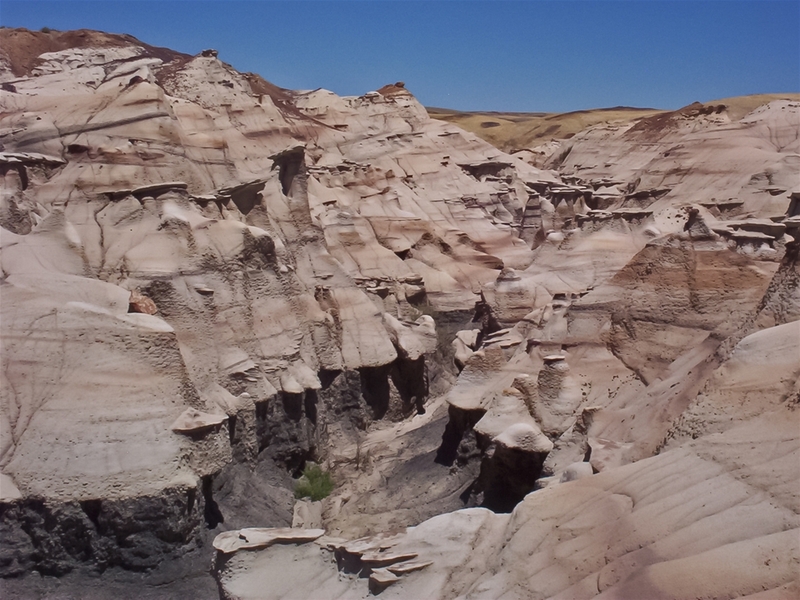 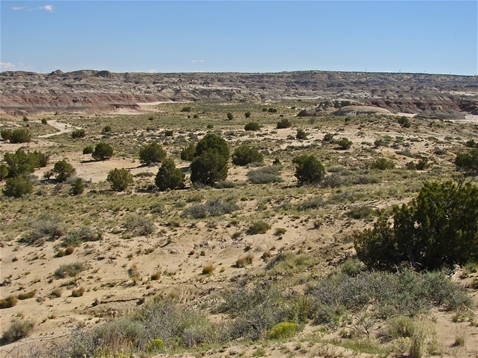 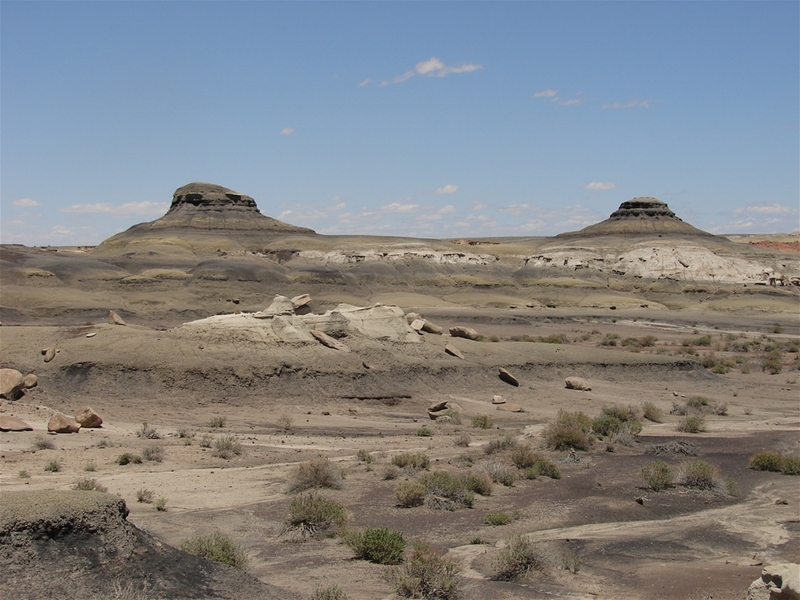 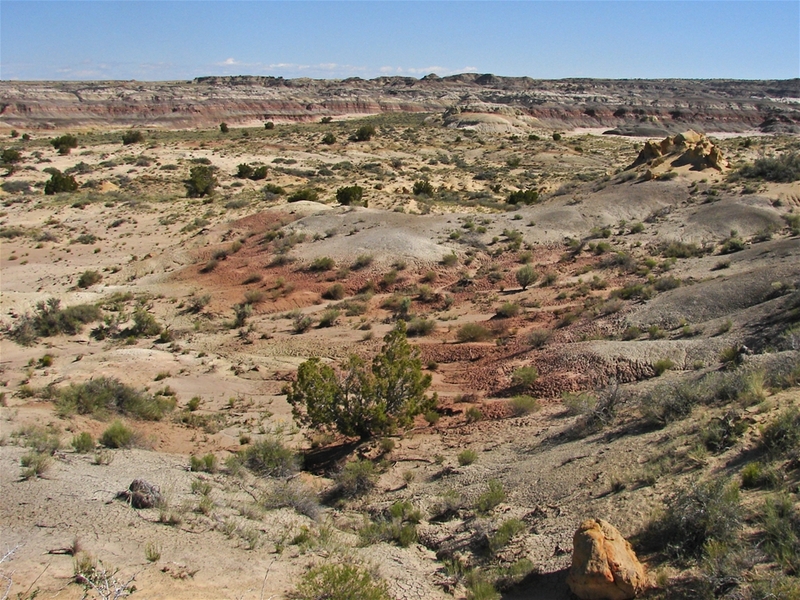 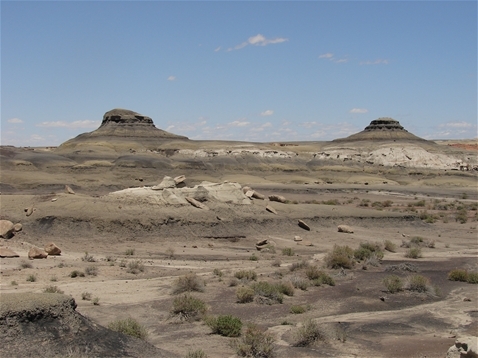 The Bisti/De-Na-Zin Wilderness area is in a very remote area in northwest New Mexico. 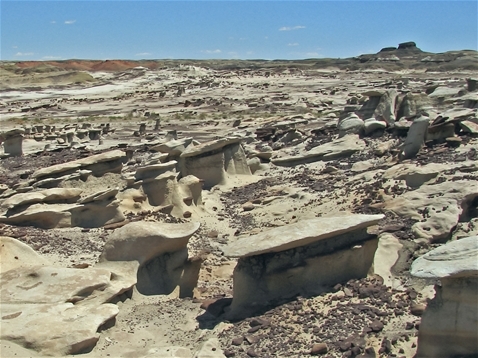 The Bisti portion has been described as other-worldly because it bears some resemblance to the landscapes and rock formations usually associated with other planets. 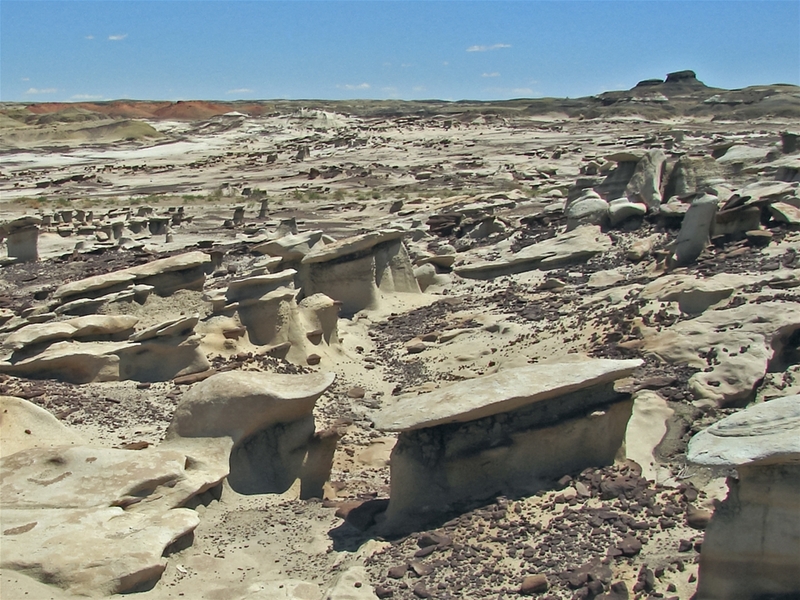 Most of Bisti's attractions are called hoodoos. 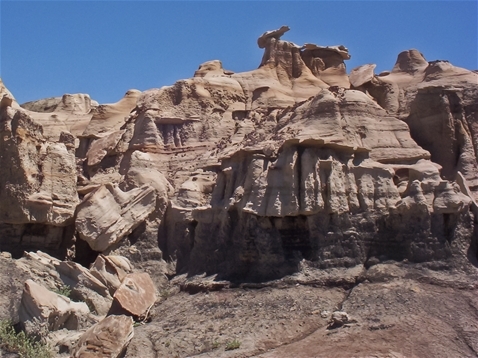 They are narrow conical rock formations with a larger capstone on top. 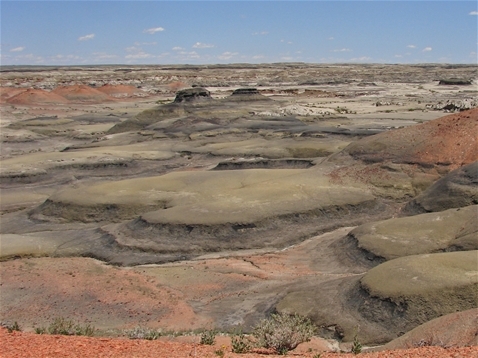 There are many different colors seen in this area, but very little life. The De-Na-Zin portion is badlands reminiscent of those up in the Dakotas.